Celebrity nose jobs are extremely common; most people (both men and women) who enter Hollywood tend to fall to the extreme pressures of looking perfect, undergo plastic surgery (nose jobs being the most common) to achieve the perfect look. While there are many types of noses, in the end Hollywood prefers the nose of its celebrities to be smooth, thin and refined i.e. a nose which gives them an elegant and sophisticated look. While there are a few exceptions (thankfully! ), the end product of most celebrity nose jobs is a nose which is small in the tip, small in the bridge, one which flows smoothly from top to bottom. 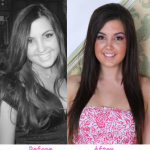 There are too many great nose jobs which have been performed. Hence you may not find the celebrity nose job which you like the most in this list, but I shall try to be non-partial in making this list. 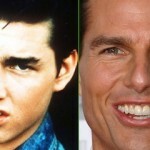 Tom Cruise with his boyish looks, charm, and charisma has millions of fans all over the world. But he was not always the good looking star he is now, when he initially started with his career, he had an extremely bulbous nose and looked plain ugly. But after his nose job, the end result was a face with which millions fell in love. Brad Pit is the epitome of sexiness, this when combined with his boyish looks has won him the hearts of many female fans. But he never actually got a nose job, while he did get plastic surgery to remove his wrinkles and tone his face, as a side effect his nose also changed for the better. This is more of an indirect celebrity nose job if you will. 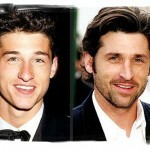 The star of Greys Anatomy, Patrick Dempsey underwent surgery years back early in his career to improve his chances in an industry which expects bodily perfection. While his early nose was fat and bulbous, after the nose job he gained a rugged and manly nose, one which suited his face perfectly. The nose job was a great idea, since his major break into the industry (and all other subsequent roles came after it). When you compare a photo of Taylor Lautner from his childhood and one taken today you will clearly notice that the Taylor Lautner nose job is true. 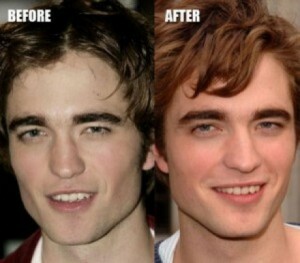 The Twilight star known for his great body and boyish looks underwent surgery to get a nose which is smaller in the tip (but not one which is broader in the bridge). The end result is a great nose which suits him. 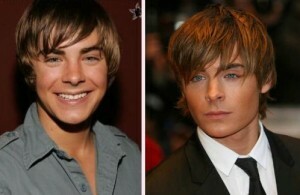 The Zac Efron Nose Job. The star of the hit Disney series “High School Musical”, he underwent surgery early in his career to give him a boost in the industry. 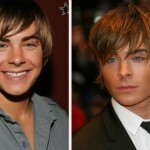 When his photos are compared, it is clearly visible that his nose has been made more masculine and distinctive. 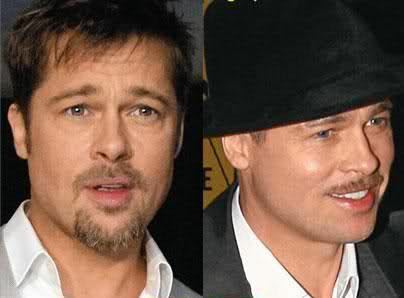 The end result is a nose which while maintaining his boyish looks makes him look like a man. The dashingly good looking vampire from Twilight has it all i.e. great looks and a great body. But when photos of him are compared it cannot be stated with complete certainty if the change in his nose is a result of a nose job or the result of Mother Nature. While I think that it was Mother Nature, you (like many others) may feel that it was a result of a surgeon’s knife. Either way the end result is a great looking nose which suits his face. The French born star from the hit television series Bay Watch got a nose job done to craft himself a nose which was thinner and more sophisticated when compared to his old nose. 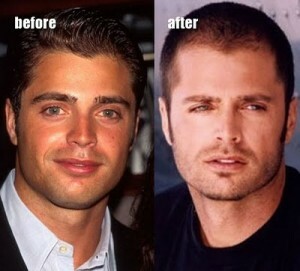 As nose jobs go, this was a great one which made him look much younger and sexier. 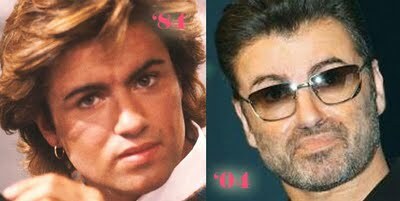 The hit singer from the pop sensation Wham underwent surgery to remove his bulbous nose, to craft a thinner, highly refined nose which made him look more masculine. The reconstructed nose while much narrower and smaller than his original nose did not increase his sexiness or looks by a big amount. 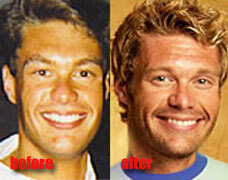 Ryan Seacrest underwent a nose job to change the look of his face. His new nose while still round is much more smaller when compared to his old nose. 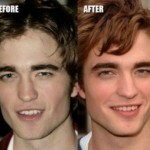 All in all it is a great rhinoplasty and it suits his face completely. Bradley Cooper (after starting his career acting as an extra in movies) has now become a major star thanks to his roles in the hit Hangover Series of films. He has gone under the knife not to completely change his nose but to simply refine it, his new nose is just a refined version of his old nose and it suits his face better. 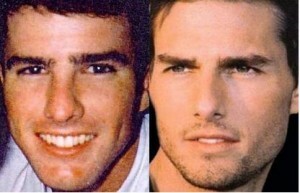 Above are some of the best male celebrity nose jobs according to me. 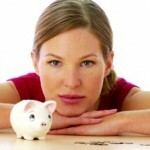 Feel free to check out our dedicated articles on individual celebrity nose jobs.